The 2019 B.B. Warfield Memorial Lecture Series Genesis 1-3 and the Importance of the Historicity of Adam will explore the teaching of Scripture on the nature of the historical Adam and his significance for understanding all of redemptive history. In four sessions, Reformed Theological Seminary professor John Currid will discuss the significance and role that a proper understanding of Genesis 1-3 and a historical Adam has on our redemption in Christ. All are welcome to join us June 7-8, 2019 in Oklahoma City, OK for the rich study of God’s Word. John Currid has been part of the faculty of Reformed Theological Seminary for 20 years, serving as both chair of the Biblical Studies Division in Jackson and professor of Old Testament in Charlotte. Prior to coming to RTS, he served as associate professor of Religion at Grove City College. He is currently an adjunct faculty member at the Jerusalem Center for Biblical Studies in Jerusalem, Israel. He serves as project director of the Bethsaida Excavations Project in Israel (1995-present). He lectures and preaches in many countries including Russia, Ukraine, Great Britain, Australia, and Brazil. The core of the Christian profession is, according to Warfield, the confession of a supernatural God, who may and does act in a supernatural mode, and who acting in a supernatural mode has wrought out for us a supernatural redemption, interpreted in supernatural revelation, and applied by the supernatural operations of His Spirit. The starting point of Warfield's theology was the majesty of God and his authority over creation. Promote the exchange and examination of the great historic doctrines of the Church. Foster a corporate sense of the relevance of the Christian faith and Reformed theology to our culture. 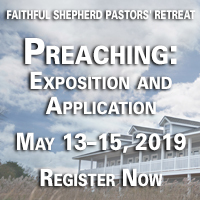 Challenge the individual believer to connect with the historic Christian faith and the Church. 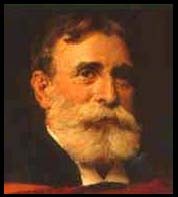 Benjamin Breckinridge Warfield was born near Lexington, Kentucky on the 5th of November in 1851. He graduated from Princeton in 1871 with the highest of honors at the age of nineteen, excelling in mathematics and physics. While studying in Europe, he announced his intention to prepare for Christian ministry. Upon graduating from Princeton Theological Seminary in 1876, he returned to Europe again to further his studies. Returning to America, Warfield served a short period as a pastor and then accepted a position in the Department of New Testament Language and Literature at Western Theological Seminary. He remained there for nine years. In 1887, he was called to Princeton Theological Seminary to succeed A.A. Hodge as the Charles Hodge professor of Didactic and Polemic Theology. He continued in this position for thirty-three years until his death on the 17th of February 1921. Dr. Warfield combined erudition in Greek exegesis, systematic theology, and church history. He was a tireless defender of the Reformed faith. 2012: Will the Church Go Through the End-Time Tribulation? 2007: Debate on The Christian's Final Authority: The Bible of the Church?